For the second year running, we are pleased to announce our involvement 2017 Telstra Business Awards. 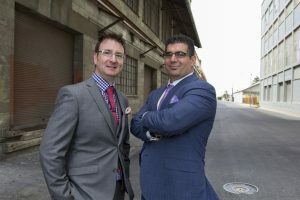 As one of six finalists in the category “Micro Business”, we are humbled to be vying for this honour with other small businesses, each demonstrating the very best that Adelaide has to offer in terms of entrepreneurial innovation. We look forward to the announcement of the winners of these awards on Tuesday 11th July 2017 at a black tie event to be held at the Adelaide Oval. Winners will be flown to Sydney in late August for National judging of the competition. We wish to thank our partners, families, professional colleagues, referrers and our loyal clients for their ongoing support during the past few years. Thanks to this, we are ever closer to realising our initial vision, that sees us strive to become the most respected, innovative and distinguished estate planning firm in South Australia.